Born in the city of Chennai, Tamil Nadu, Sheela was married at a young age to a village farm labourer and moved to live with his family in a village 80 kms south of Chennai. Being unable to have children has resulted in a harsh home life with an alcoholic husband and unsympathetic mother-in-law, motivating Sheela to seek opportunities to assert her independence. With no formal education beyond middle school, Sheela started working in an export garment factory a few years ago, where the hours were very long and the work was demanding. 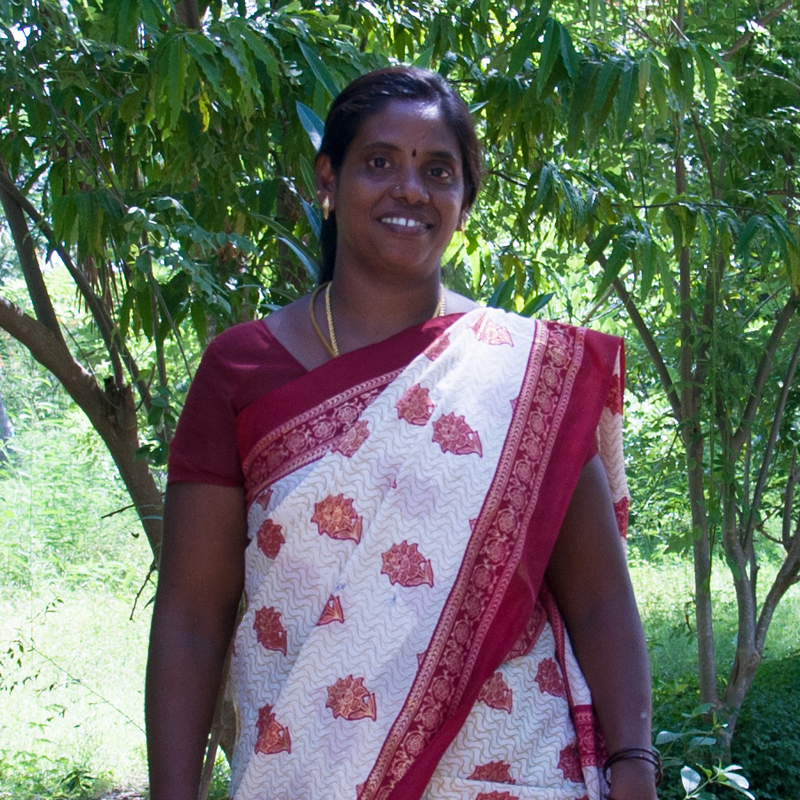 She learnt tailoring and then joined the tailoring unit on Satya’s farm and was quickly identified as a key member for our team. Her discipline and skill level has made her the point person for our brand and we hope to help her achieve her dream of becoming a master tailor and eventually leading our manufacturing process in India.